I find it very hard to believe that it is June already! Unfortunately, it is, and we are now on our third installment of the Southern Africa portion of this trip. We have just left the Skukuza Rest camp area, and are headed back towards Marloth Park, and our house. This rest camp is much more like a small city than what you might think you would find in the middle of an African National Park. Restaurants, stores, a gas station airport, car rentals and even a 9-hole golf course. This area was hit by a viscous hailstorm a few days ago, and it really shows. The foliage is pretty beat up, and every car that was not under some form of cover, looks like someone took a small ball-peen hammer and very carefully hit the car on every square inch. 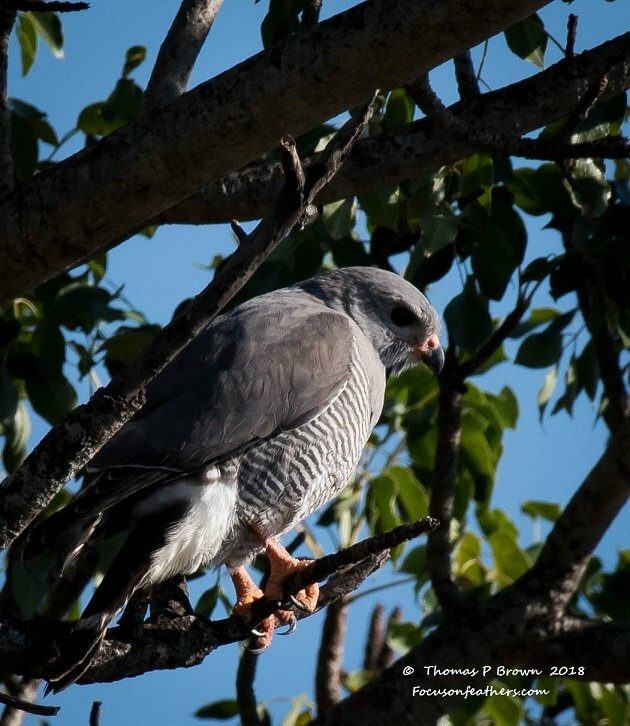 I am not sure how much this effected the animals, as I still saw a great number of bird species, but we did not see close to the numbers of game that we had been seeing on the southern end of the park. 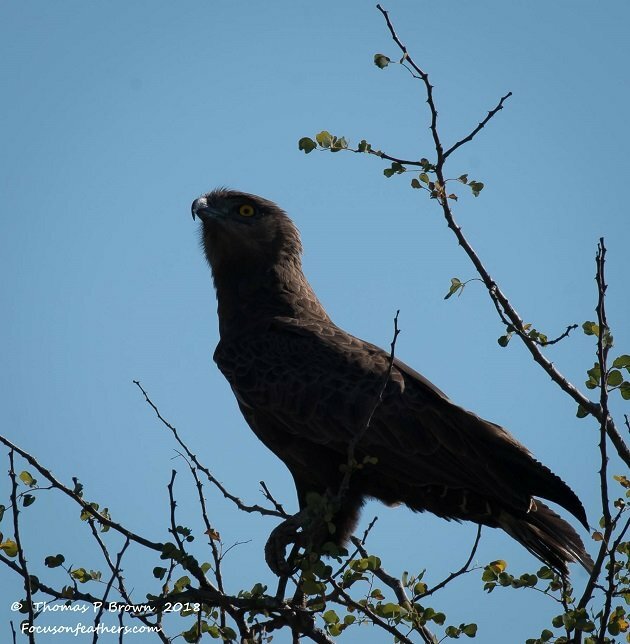 I have been able to find a few more birds of prey, and some small sunbirds and the like. We will now finish the week in the Crocodile Bridge Gate, and Malalane Gate areas. There seems to be a much larger concentration of birds, as well as water so I hope to get the most out of the time I have left. This Lizard Buzzard was just outside the camp. The black chin line is there, it just does not show on this angle. I have seen several Tawny Eagles on the wing, but this one was spotted while it was still early in the morning. 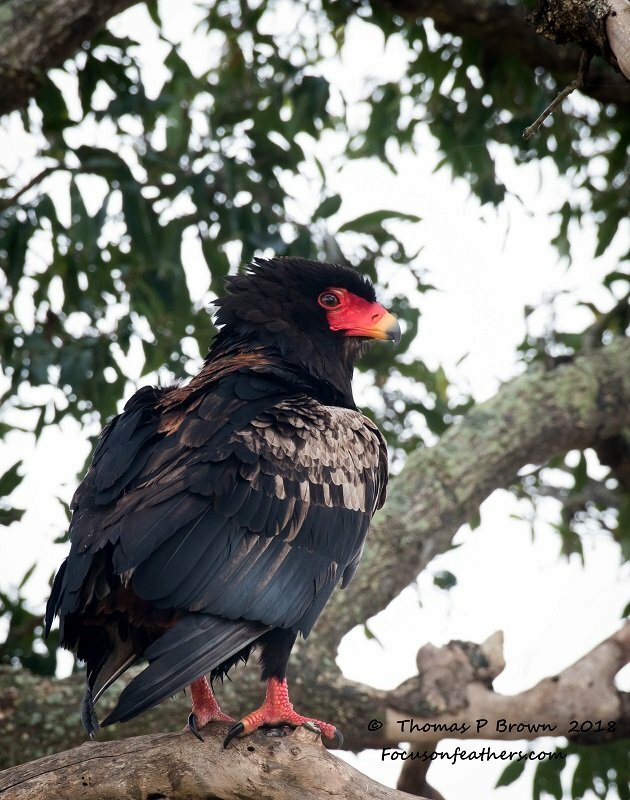 So far, the most common bird of prey has been the Bateleur. We have seen quite a few juveniles, so it was nice to spot a mature bird still on a roost. 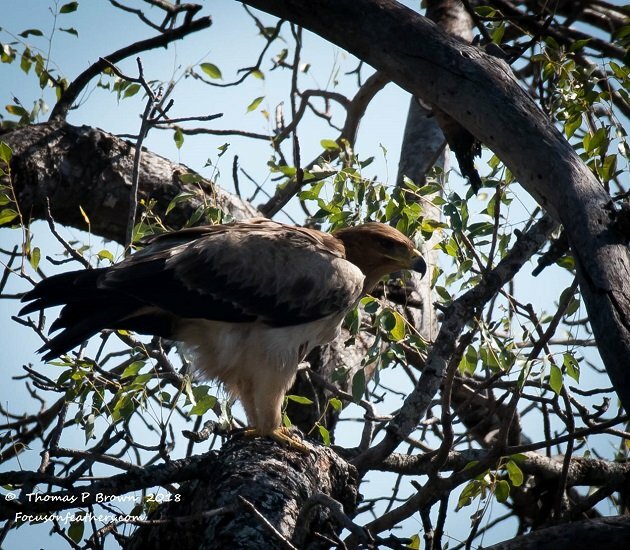 This Brown Snake-eagle was directly in the sun, so I lost some of the detail in its plumage. 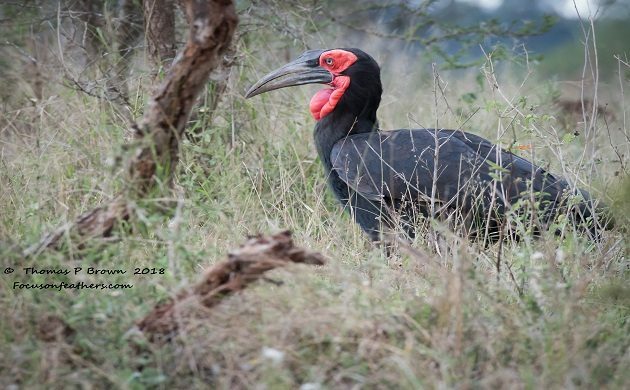 I have to admit, photography, and birding in general is a bit of a challenge here inside Kruger National Park. The rules say you are not to ever leave your vehicle, and not part of your body is to extend out of the car. So, when that bird you have spotted is just on the other side of the bush, or the lighting would be just a bit, or a whole lot better if you could just get “over there” it can be a bit frustrating. I had been working pretty hard to get some decent Hamerkop photos, when all of the sudden, this bird just flew out from under a bride an d landed right in front of me. I guess it is better to be lucky sometimes. 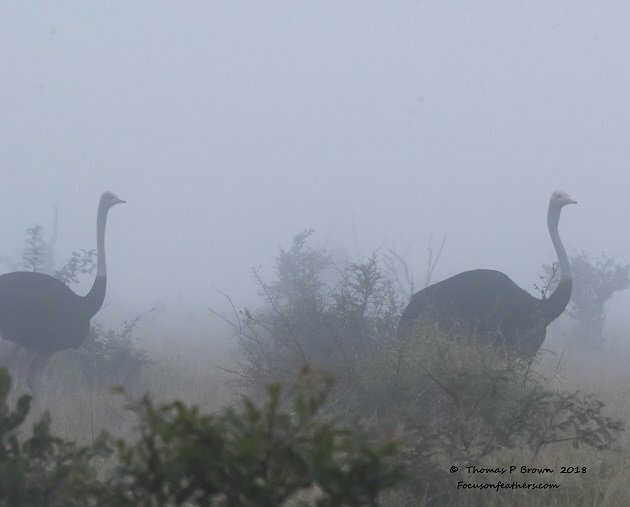 Who would have thought that we would get fog out in the South African desert, but we have had two morning with some pretty dense fog. My wife thought it made for some pretty cool shots, so here are my Ostrich’s from one of the mornings. 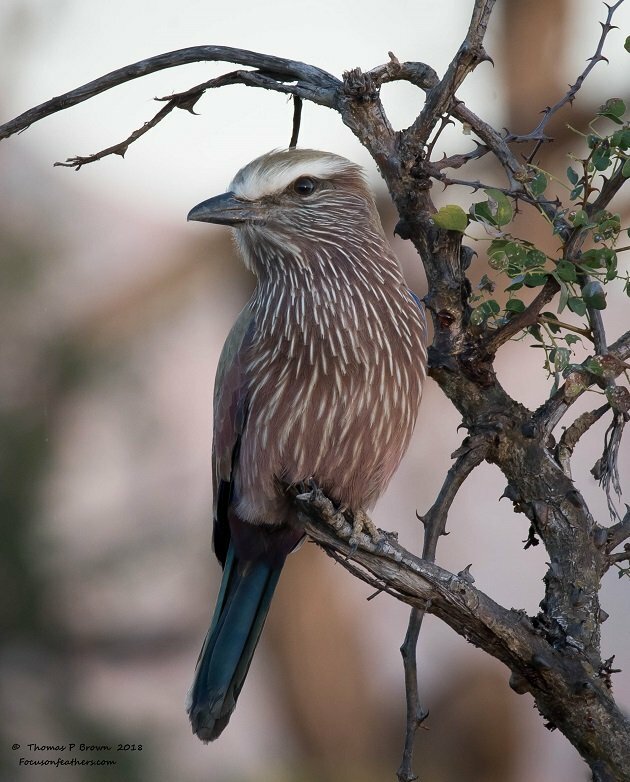 There have been literally hundreds of Lilac-breasted Rollers, so it was fun to find this Purple Roller. 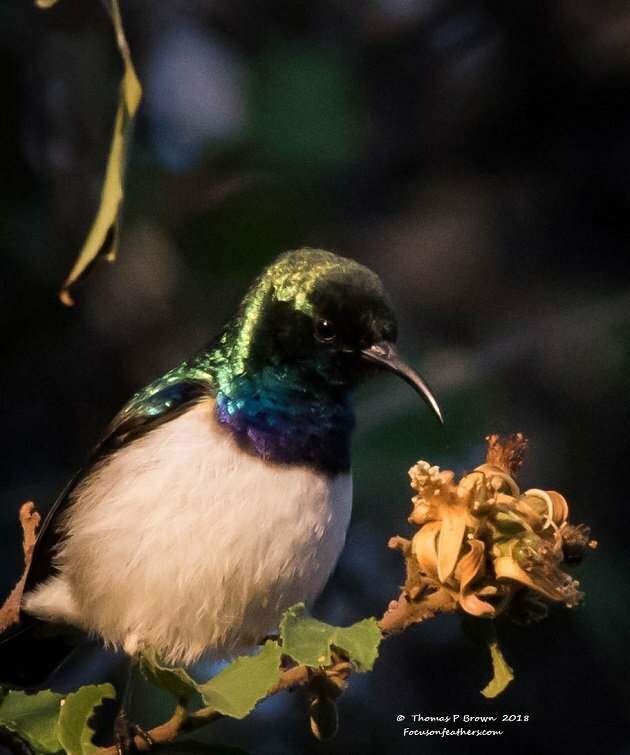 My third sunbird since getting to South Africa, is this White-breasted Sunbird that I found in a hedge right inside the camp. 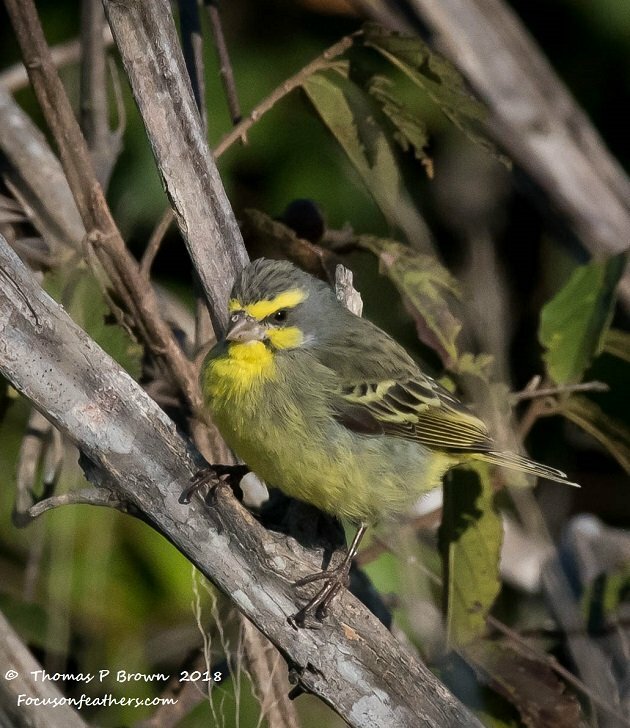 I have run across several of these Yellow-fronted Canary’s inside the rest camps. 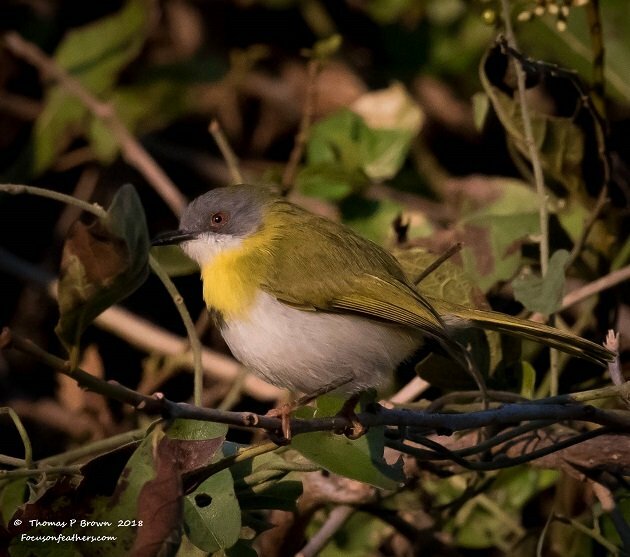 This Yellow-breasted Apalis was flitting around in the weeds right next to the camp fence. 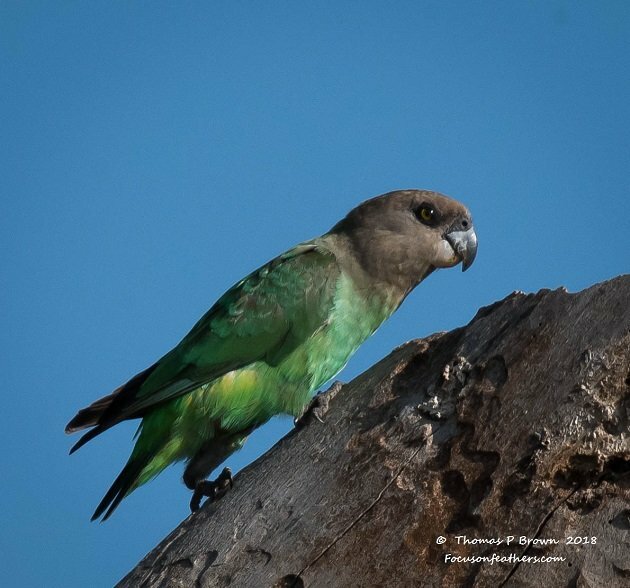 There are not a lot of parrots in this part of the world, so I was very excited to find this Brown-headed Parrot, with its mate, working on an old dead tree. They looked to be working on a nest cavity. 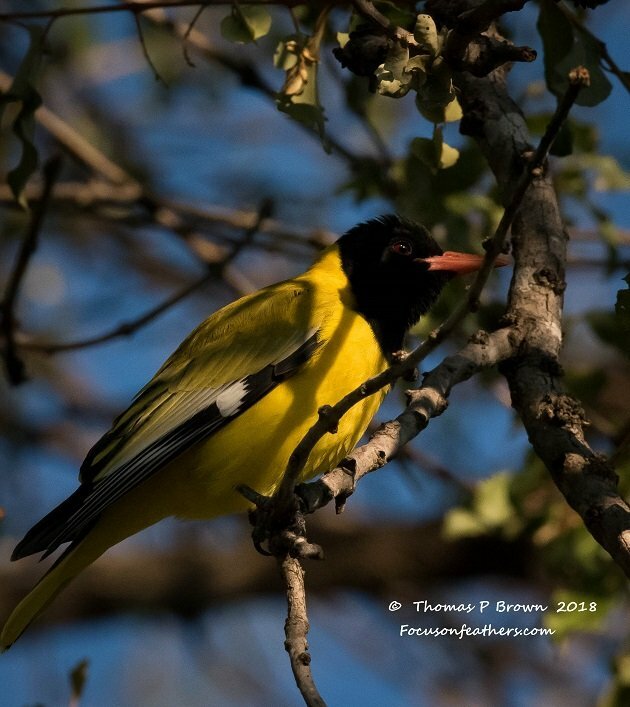 This beautiful bird is the Black-headed Oriole. 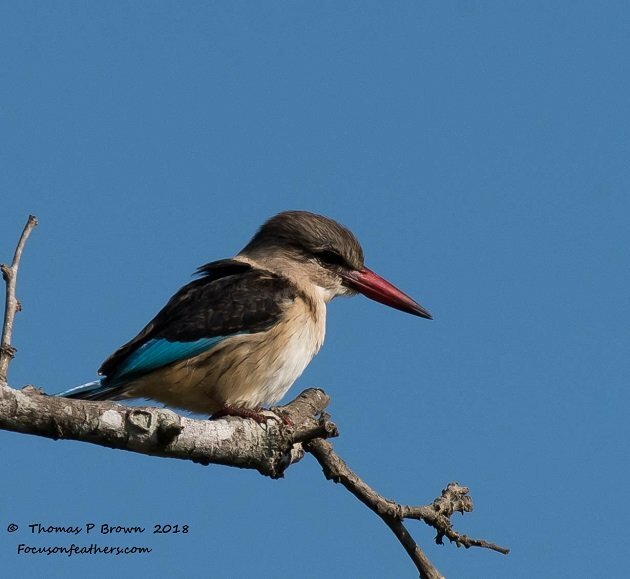 So far, I have found the Giant Kingfisher, The Pied Kingfisher and the Malachite Kingfisher. My fourth was this Brown-headed Kingfisher. So far, I have been able to find five species of hornbill. 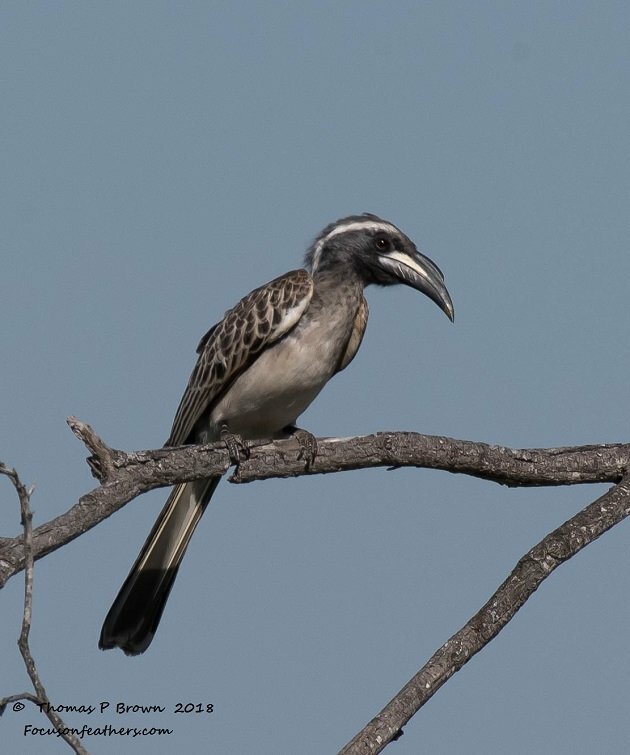 This African Gray Hornbill was number 5. 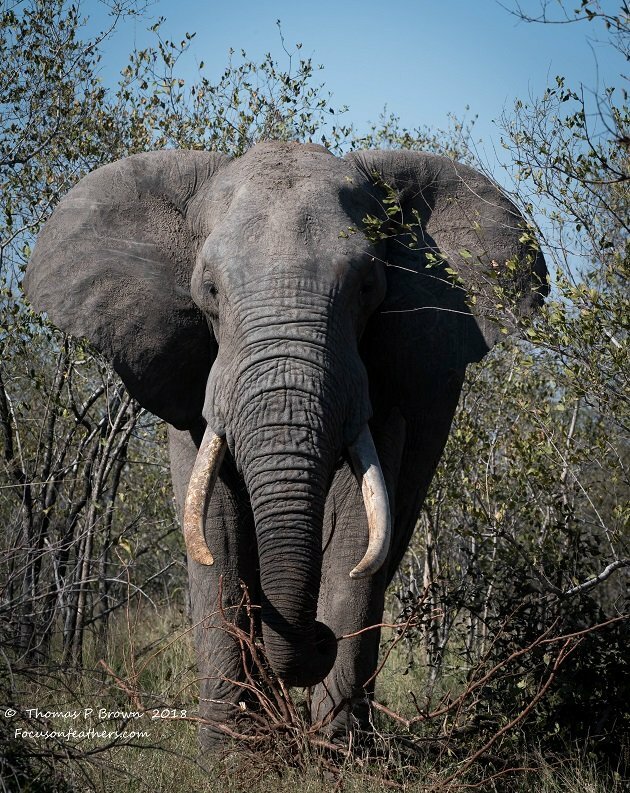 This pretty big African Elephant was feeding right along side the road. All of the sudden, it felt the need to eat on the other side of the, just about the same time I REALLY felt the need to move the car. 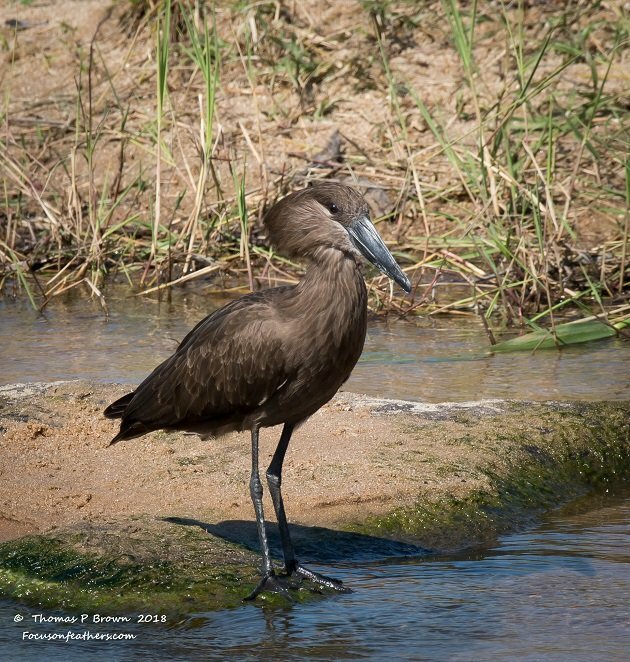 South Africa – 157 Species.